About 6.5 centimeters tall by 4 centimeters wide. 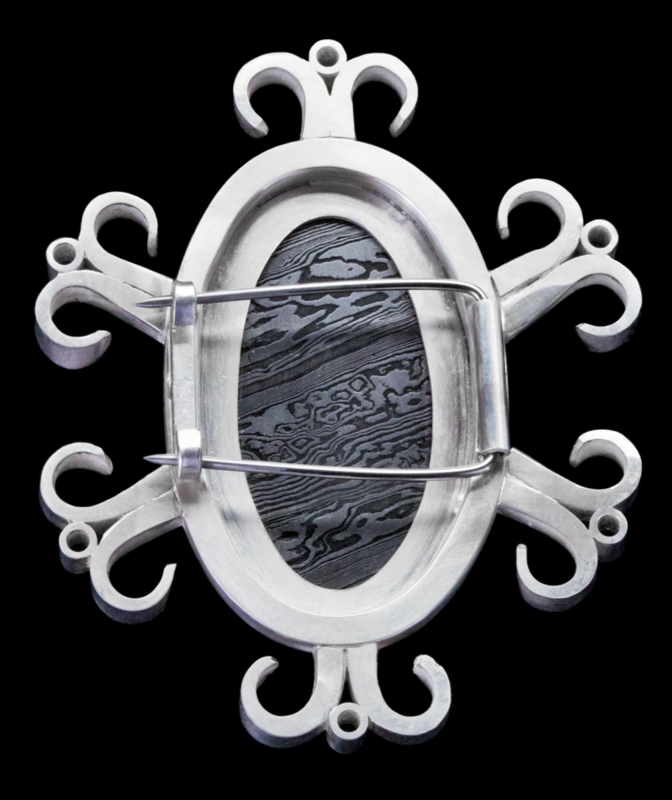 This is a brooch I made for a contest that the International Precious Metals Institution holds every year; this particular year was the contest's 25th year anniversary, so I wanted to make something really unique. I started by cutting up part of a billet I forged years prior and shaping it into an oval cabochon. However, as luck would have it the back of the cab had a more interesting pattern than the front, so when I made the bezel I left the back open. I decided to accent the cab with a radial pattern, and those forged curves I like so much seemed like the best candidate. I had some 2mm sapphires left over from another project, so I tube set those between each of the curves for a little extra ornamentation. 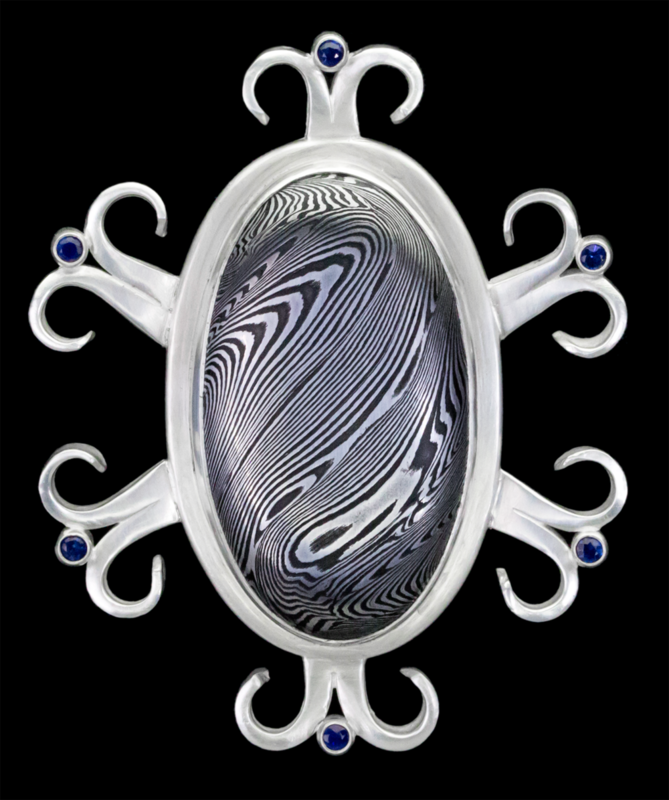 This brooch ended up winning second place, and it was auctioned off at the IPMI 39th Precious Metals Conference in San Antonio, Texas.